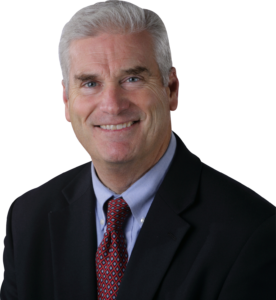 Congressman Tom Emmer was sworn in for his first term in the U.S. House of Representatives on January 6, 2015. He represents Minnesota’s Sixth Congressional District and serves on the House Financial Services Committee. Tom was born in 1961 and raised in the great state of Minnesota. He went on to graduate from the University of Alaska-Fairbanks and then William Mitchell College of Law. In 2004, he was elected to the Minnesota House of Representatives and re-elected in 2006 and 2008. Tom and his wife Jacquie are the parents to seven beautiful children, and currently reside in Delano, Minnesota.